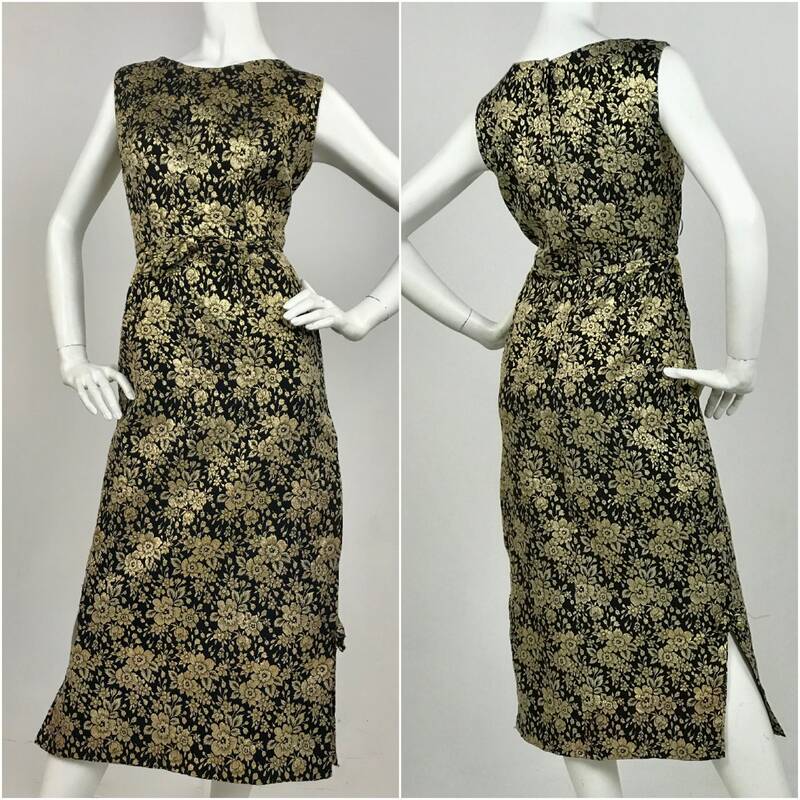 Mint Vintage Condition! 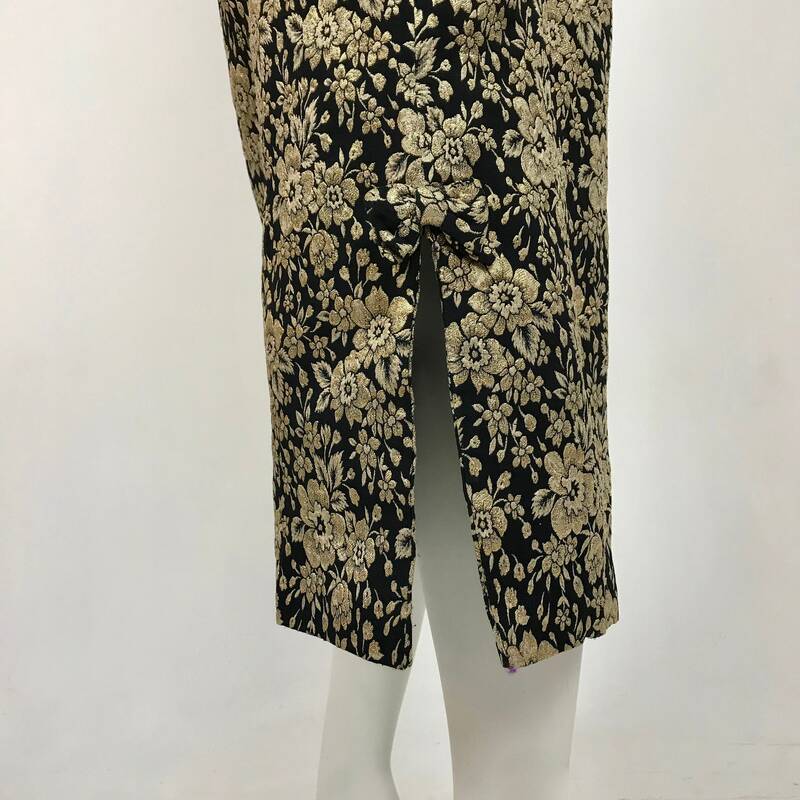 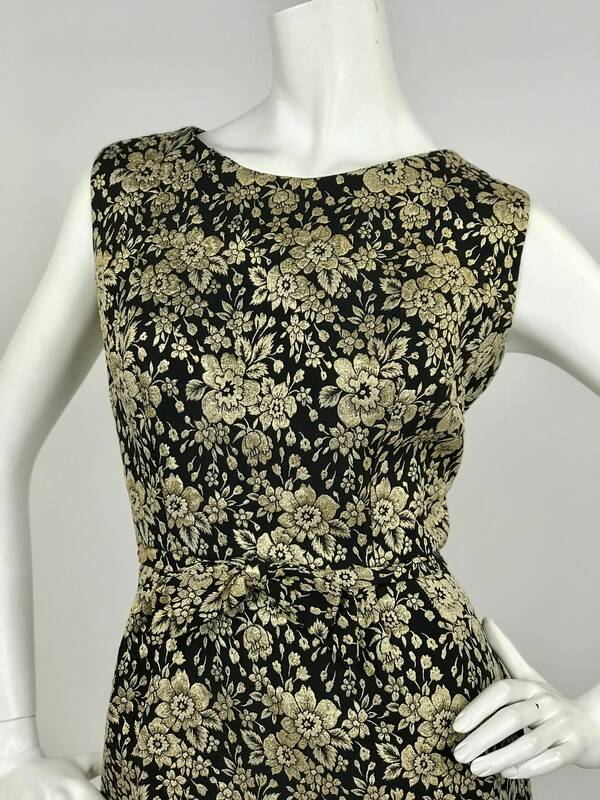 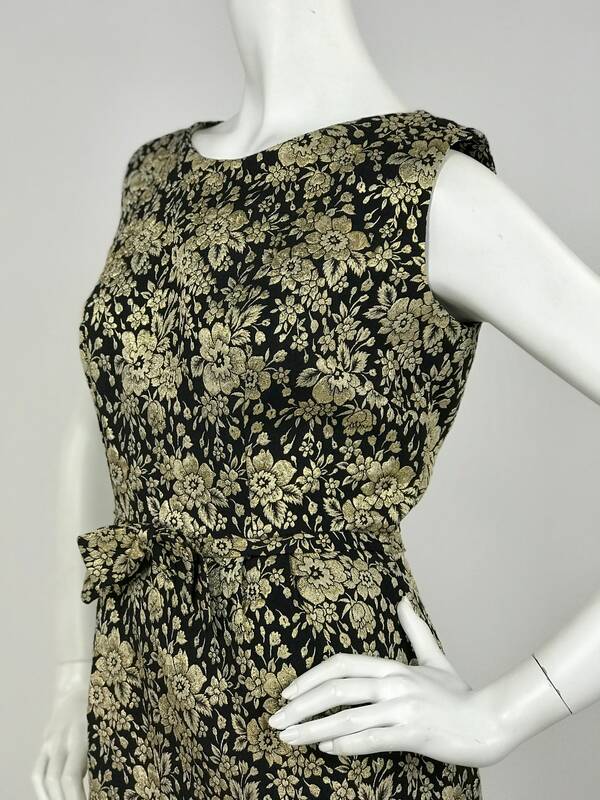 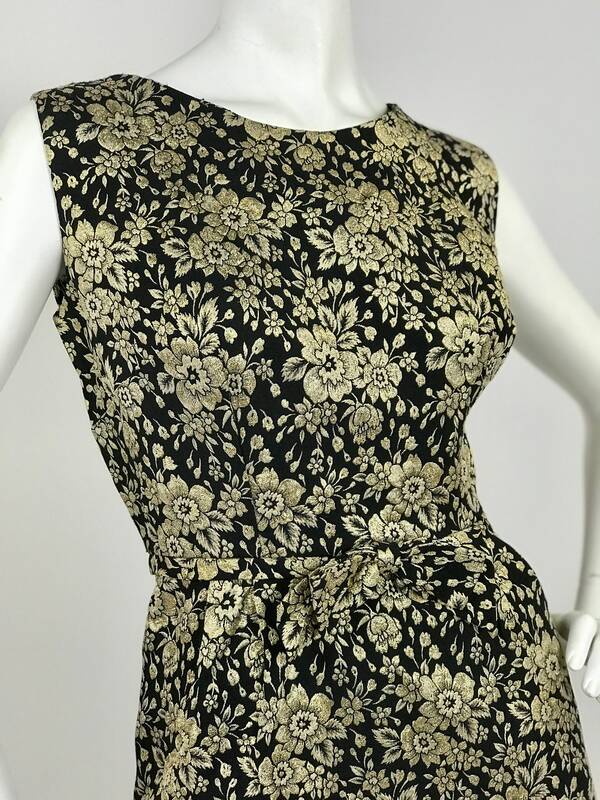 Beautiful 1960's Gold & Black Floral Brocade Sheath Dress is Up for Grabs! 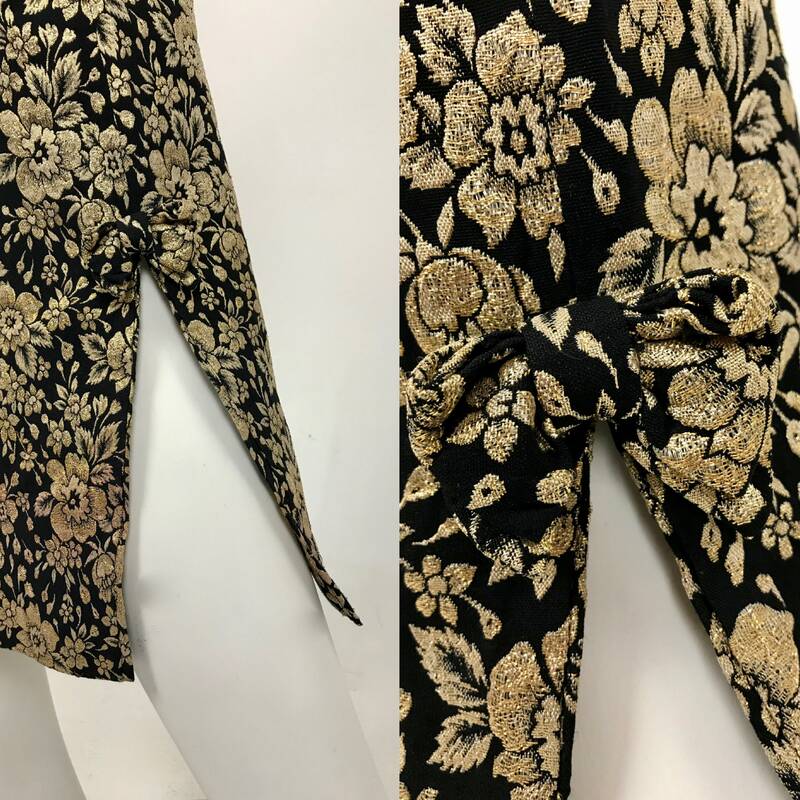 Contemporary Size Medium to Large. 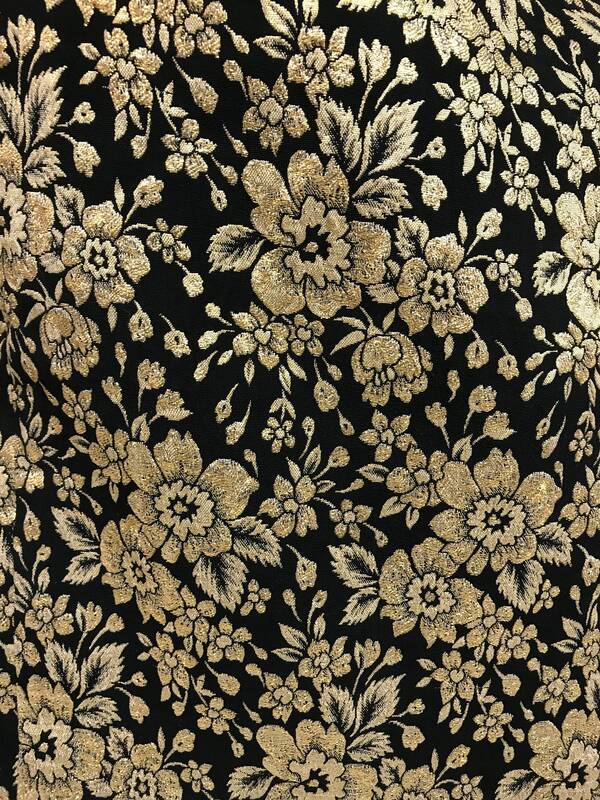 Exact measurements are taken with dress laying flat and doubled where necessary. 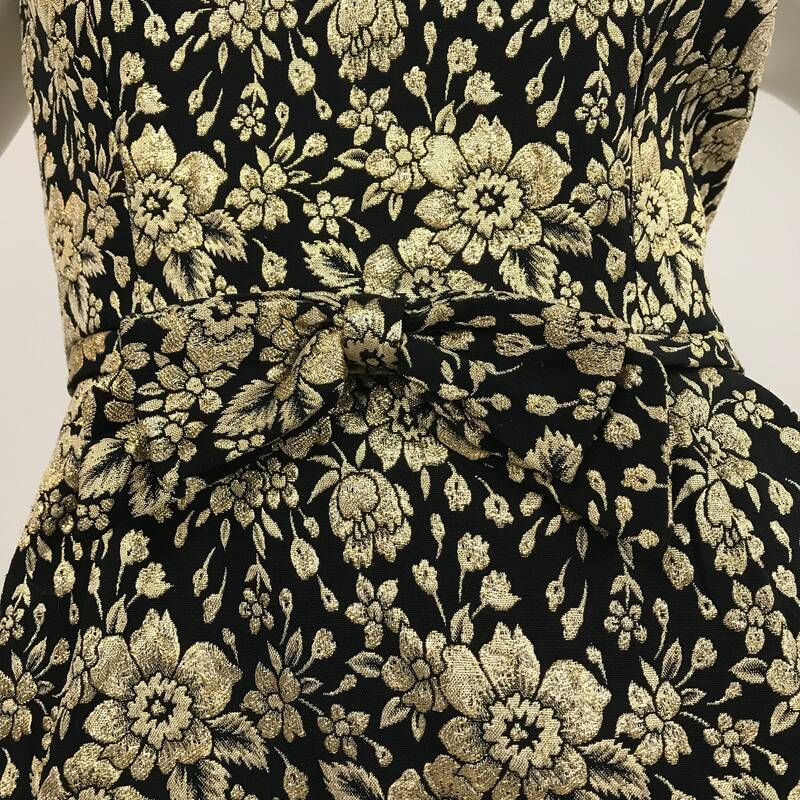 Please know your own measurements and allow ease for a comfortable fit. 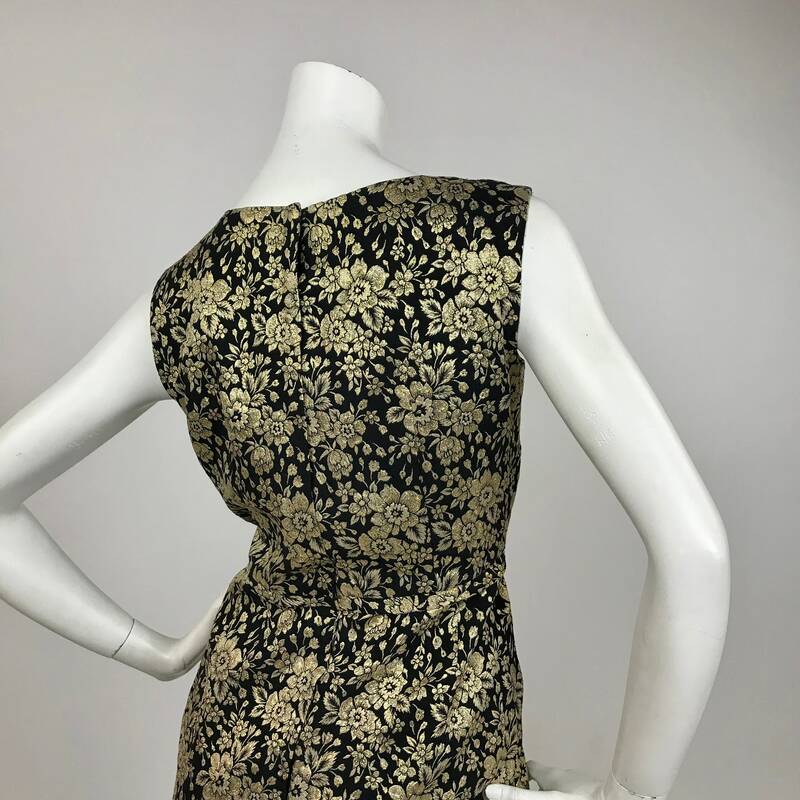 Top of Shoulder to Waist: 15.5"
Please note that all vintage items come with some age and wear. 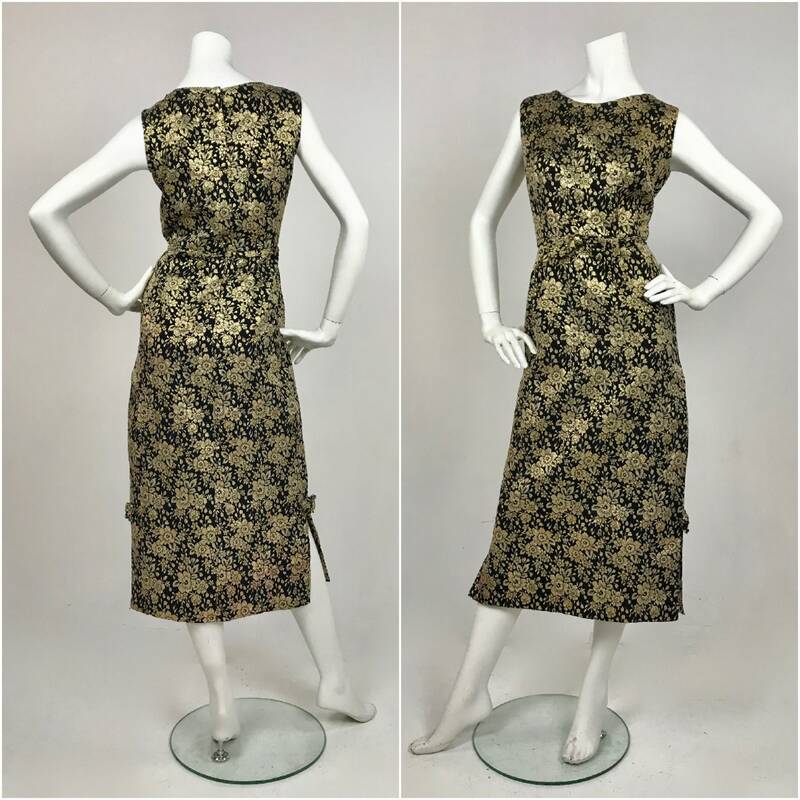 This piece is over 50 years old and is in mint vintage condition.